Change is hard, especially at Disneyland. Whether you go once a week, once a year, or once a decade, you want to see your old favorites because you have so many happy memories there. But Disneyland will never be complete, right? So things have to change and grow to keep the park fresh and exciting. One of my favorite things is when Disney keeps a little piece of an old attraction in its home as a fun reminder of something that we used to love! 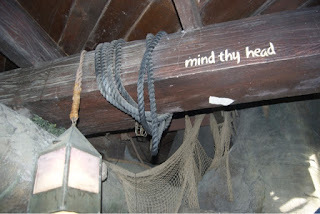 These are our top five tributes to old attractions at Disneyland! Before Tarzan started calling through Adventureland, the Swiss Family Robinson lived in the treehouse. To be honest, I don't remember much about what it looked like back then, but I definitely remember this sign and I've always loved that they kept to help warn the taller guests. This is a brand new one! Penny, the glass elephant, used to be a decoration in the Gibson Girl ice cream shop on Main Street until the expansion a few years back. She just reappeared a couple days ago on top of the Tropical Imports store! 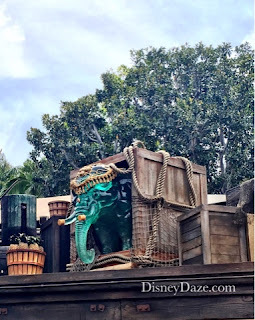 See if you can find her on your next visit, just to the left of the Jungle Cruise entrance! 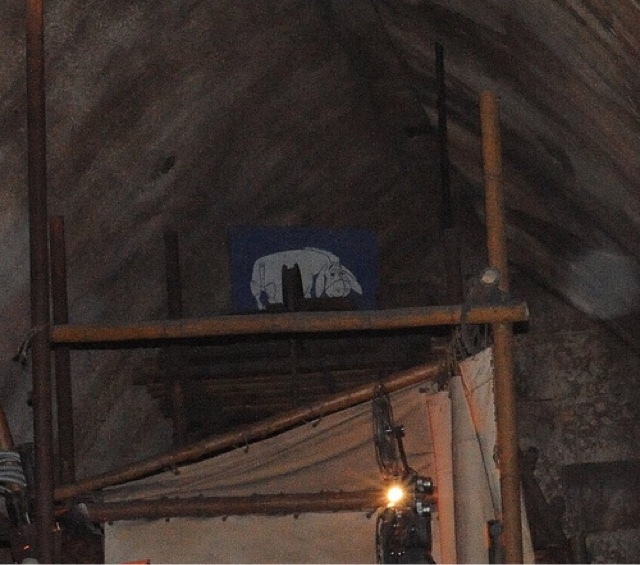 Right after the Heffalumps and Woozles room, turn around and look above the doorway you just passed under. 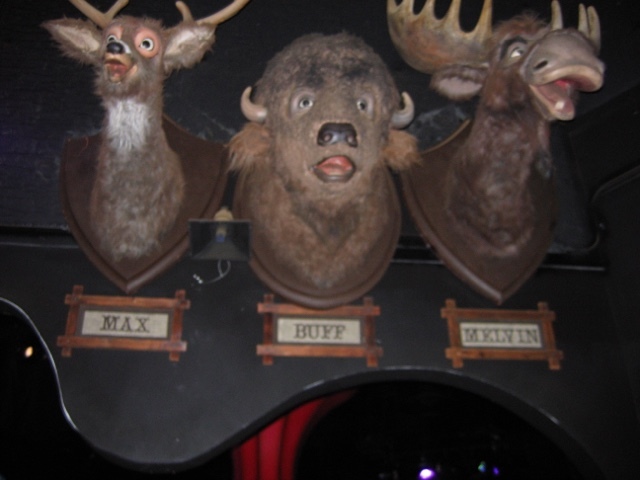 You'll find Max, Buff, and Melvin, the stuffed heads that used to sing with the Country Bears! I don't know about you, but I say hi to them every time I ride (which is A LOT, with a three year old). Way back in the day, the Indiana Jones area of Adventureland was nothing more than part of the parking lot. The Eeyore section, to be exact. If you look really carefully up above you in the portion of the line where you're watching seatbelt safety videos, you can spot an old Eeyore parking lot sign! Ok, this one is a little different since it was never an attraction. Walt Disney had planned Big Rock Candy Mountain for Disneyland, but the project never happened. 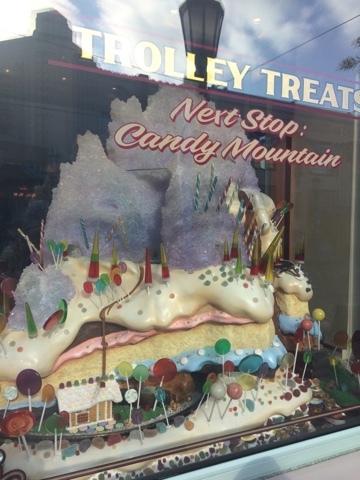 Now you can spot this adorable version of the ride that never came to be in one of the windows outside the candy store on Buena Vista Street. Keep an eye out for the train that runs around and through the mountain! In Tarzan's Tree House you can still hear the Swiss Polka playing on the record player from the original attraction as well. Love this kind of stuff! I am glad that people share their experiences with us.